Nithya Kannada – ನಿತ್ಯ ಕನ್ನಡ is simple and quick learning material to learn Kannada. It’s a collection of audio files. Each audio file is a simple conversation in English and Kannada. It also contains text in English, Kannada Transliterated and Kannada. Idea is to keep each step under 60 seconds. 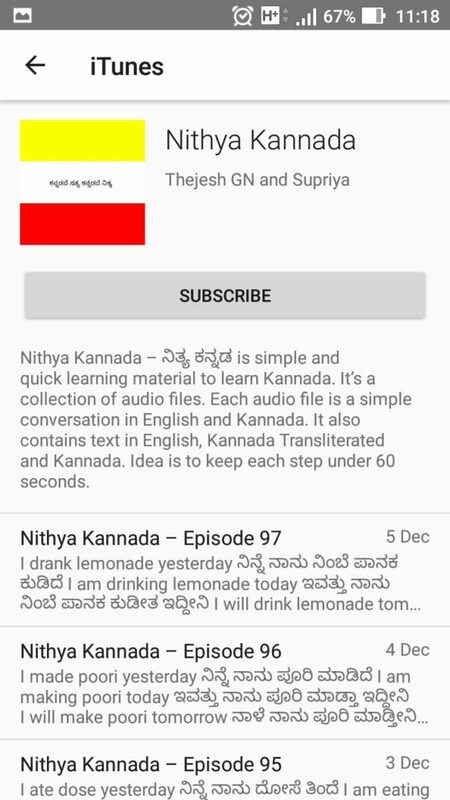 Nithya Kannada is available as flash cards. To use the flashcards you need to install Anki Application. Steps for installing Anki and importing flashcards is below for your reference. Anki is a program which makes remembering things easy. Because it’s a lot more efficient than traditional study methods, you can either greatly decrease your time spent studying, or greatly increase the amount you learn. Anki is available for Desktop, iPhone and Android. Once you install the app. 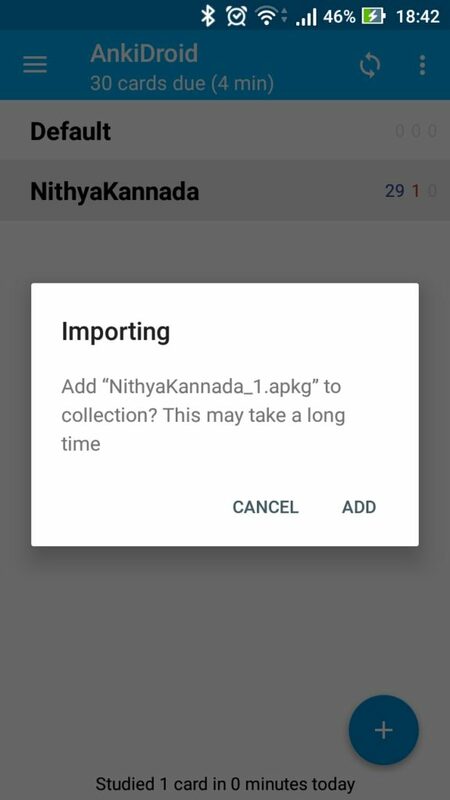 Download the NithyaKannada Package (Eg: NithyaKannada_1.apkg ) and import into the App. Then start practising. I have screenshots below for your reference. 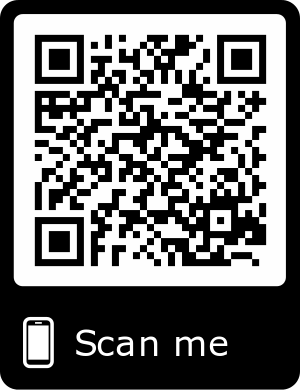 Download the .apkg file (NithyaKannada_1.apkg) and open it with Anki app. Once you import the Deck will appear. You can start study. 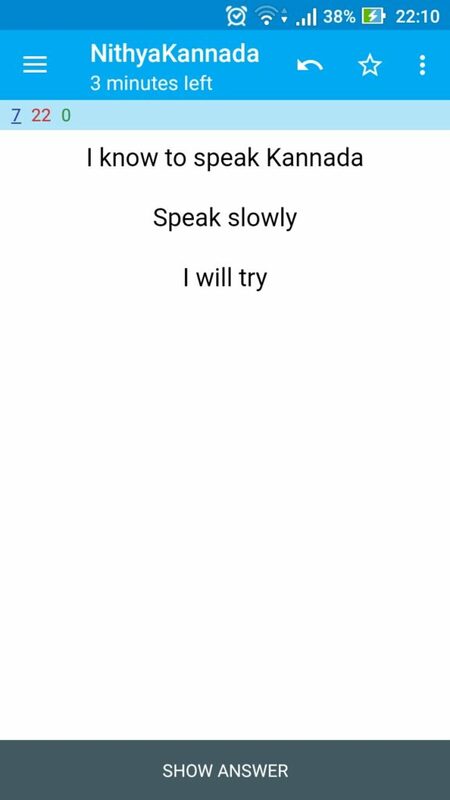 It will show the question. Now try to remember the Kannada version. We publish everyday (unless we are on a break). You can browse them in blog format. Best way would be to subscribe to our podcast feed. 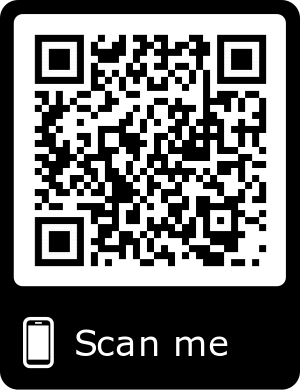 You can use RSS feed or iTunes link. You should be able to subscribe using any podcasting app on any platform. If you don’t have a podcast app yet. Then on iPhone you can use default iTunes app. But I suggest Overcast App. 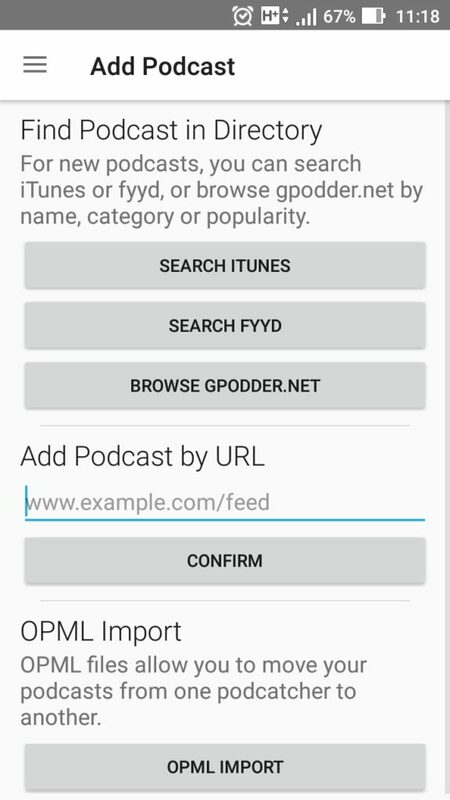 On Android you can use Google podcast player, but I suggest AntennaPod. 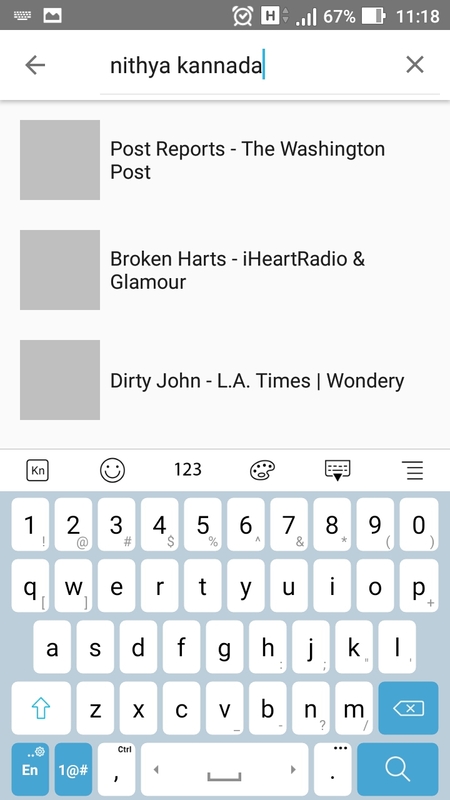 An example flow in the AntennaPod app. You can use one of the following URLs or just search on iTunes. 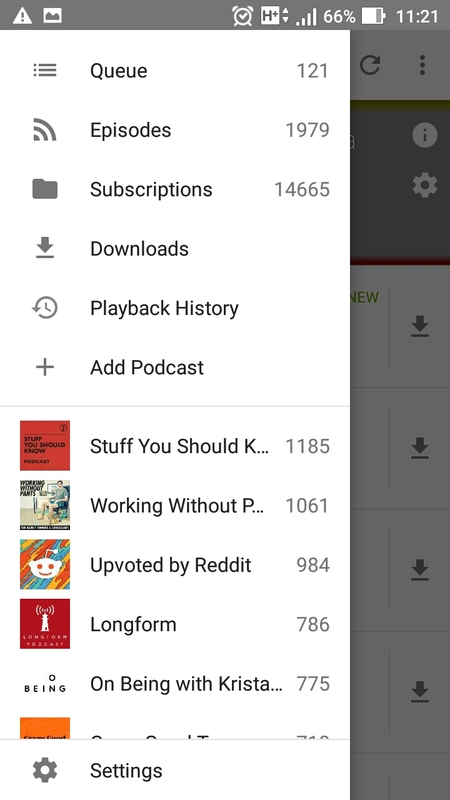 Add Podcast Screen. You can enter the feed url directly here or search on iTunes. Enter Nithya Kannada and click on search. 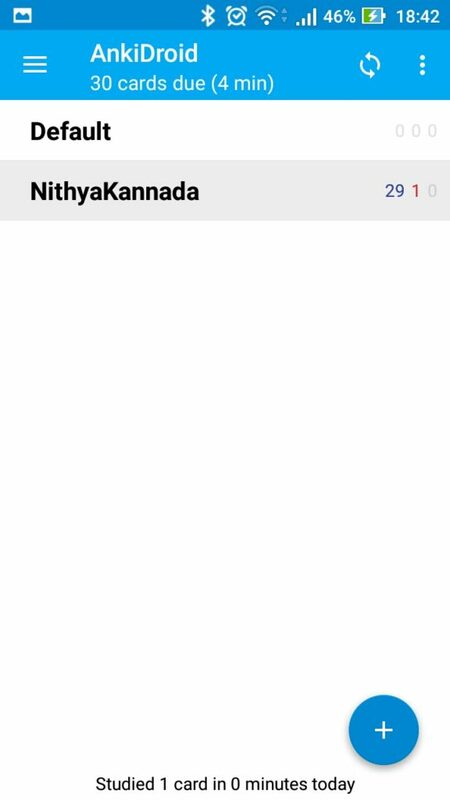 Select Nithya Kannada from the list of search displays. Then it shows the details of the podcast. Click subscribe. Enjoy. The table below is updated once a month. You can use to listen and learn. For daily use follow the daily feed. All the raw audio files are available on Archive.org. You can download them from there. But I would suggest using flashcards if you are interested only in learning. I’m a medical student at Manipal, and Hindi is my language at home. While we all have to learn ‘medical Kannada’ to speak with our patients, most of our students are not fluent in normal conversational Kannada. Something like “nāḷe sigōṇa” was new to me. Thank you again for your work in this. I will share this with my friends. Please send your feedback by email. Feedback about the content or the format is more than welcome. I am also looking for various ways to use the raw data in other formats so it can be useful for learners. If you have any ideas, do share. All NithyaKannada material is available under Attribution-NonCommercial-ShareAlike 4.0 International (CC BY-NC-SA 4.0) until unless specified. You can credit by linking to this page.